Whether you want to be at the heart of the capital city, at the middle of the most famous park in the Netherlands or at the centre of a truly Amsterdam experience, Stayokay Amsterdam has three unique hostels in beautiful locations! They’re all easily accessible, have friendly staff, have picture perfect views, and equipped to make your stay a pleasurable and memorable one! Use the promo code to avail of their limited offer! Excitement builds up as we get closer to the Symposium dates! 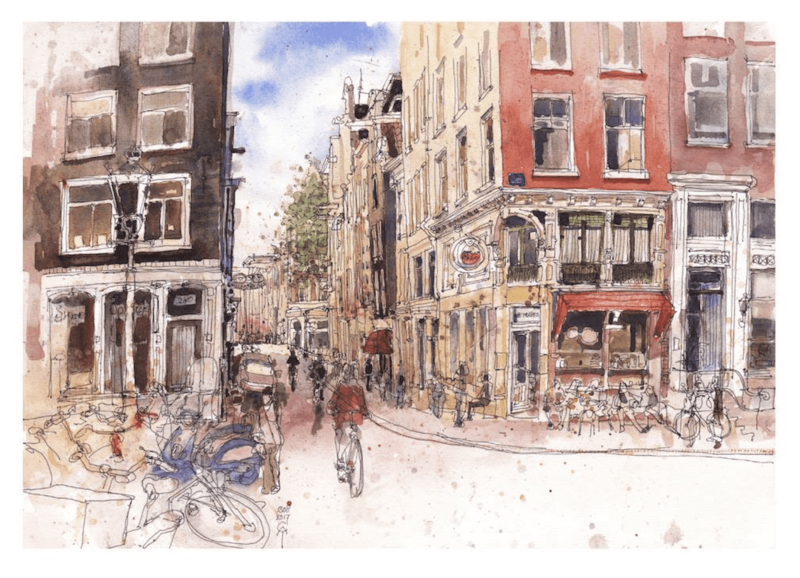 Urban Sketchers Netherlands has prepared a comprehensive article on must-haves, accommodation, travel, weather and helpful reminders that are essential to know before you start packing for the 10th International Urban Sketchers Symposium in Amsterdam. Check out the article here. The Frequently Asked Questions article is also a good must-read if you haven’t yet. We update it often so be sure to check it in case you have some questions. We are officially SOLD OUT of Symposium Pass. Over 500 sketchers had successfully registered for a Symposium Pass! If you are still keen on a Symposium Pass we advise you to check back at the Symposium registration site occasionally, in case a slot opens up, due to cancellations/refunds. We had already processed some refunds and these freed up passes had also been snapped up, as soon as they popped up on the registration site. Otherwise, please come and join us at all the free sketchwalks, the ticketed Lectures that will open up in May! and of course the Drink and Draw after the Symposium each day. Watch this space for more information on the Lectures, Sketchwalks and others. pssst! Sign up for an Eventbrite account, it is free! To expedite the process, we recommend that you have all your information entered with your Eventbrite user account, including personal and payment information. Let's start the year with fresh #uskamsterdam2019 updates so you can plan your Symposium adventure along with your New Year’s Resolutions. We have put together a comprehensive FAQ which covers an overview regarding the ins and outs and everything you need to know about the Symposium. Mark your calendars! Registration starts on February 2nd, 2019 at 15:00hrs CET (check for your local time here). Check out the Symposium Pass and General Access schedules for your reference on how the days will go for both. See what suits you best. Wishing everyone a wonderful year of urban sketching and discovering the world with each other one drawing at a time. Happy 2019! Congratulations to the Symposium Scholarship Recipients! Every year, Urban Sketchers awards 10 Symposium Workshop Passes to sketchers from the host city. In the spirit of sharing the joy and promoting urban sketching to the local community, Urban Sketchers congratulates this year’s grantees! 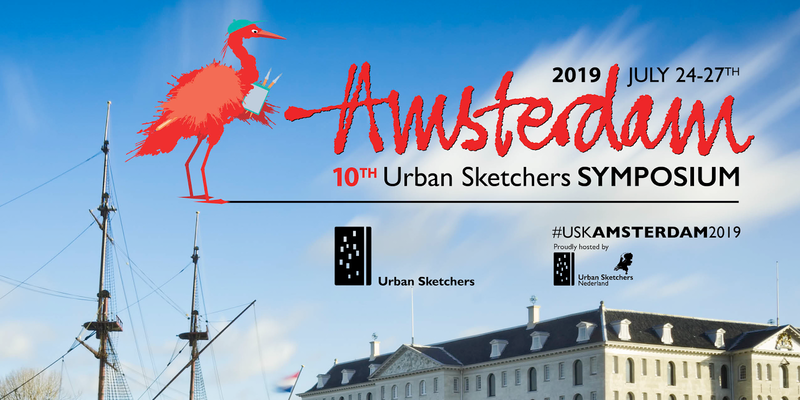 The lucky 10 scholarship recipients for the 10th Urban Sketchers International Symposium in Amsterdam, Netherlands are: Vaishali Rajurkar, Christiaan Afman, Richard Venema, Jan Baggen, Kitty van den Heuvel, Isis van der Knaap, Bern de Klerk, Rens de Kooker, Francesca Mazza, and Floor van Hoorn. Vaishali Rajurkar is a young lady who joined the Urban Sketchers Den Haag recently. Having moved from India to The Netherlands, she joined the USk Den Haag to get to know people. 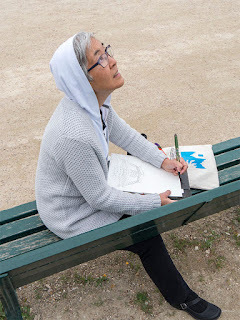 She made a big impression within the local chapter by picking up urban sketching quickly, reaching out to other people and also offering to volunteer at the Symposium. Christian Afman lives in Groningen and is one of the local chapter organisers. Furthermore he has given many and various workshops the past years at local and national events. He generously shares his experience and stimulates other urban sketchers. Everybody who has watched him rapidly blind contour sketching will remember him well. 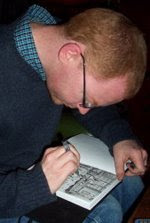 Many people got to know Richard Venema through his help in orgranising the first national sketch day in the Netherlands and he continues to be an active organiser in the local Utrecht chapter. 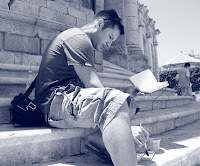 He is well-liked throughout the Dutch urban sketchers community because he is always friendly and willing to help people who are new to urban sketching. Like more urban sketchers Jan Baggen is originally a painter and through the Urban Sketchers Gelderland he got into urban sketching. The local chapter organiser nominated Jan because he’s impressed by his capacity to make beautiful urban sketches by using just a twig. Kitty van den Heuvel is a very active organiser for Utrecht Urban Sketchers. She organises monthly events and recently the exhibition “Utrecht gezien door Urban Sketchers”. She likes to socialise and makes people feel welcome. Art and creativity are important in her life, she always tries new ways in her urban sketching and is eager to learn more. The next scholarship is for Isis van der Knaap. She is a student at AHK Breitner Academy, studying to become an art teacher. For Isis urban sketching is a means to get to know her environment better, exploring a closer, more intimate relationship with it. Bern de Klerk lives in Opperdoes. In his application for a scholarship he stated wanting to return to traditional analog drawing from his current mainly digital painting and drawing. He has been focusing on the human figure as of late but is eager to broaden his horizon by learning about architecture. It is Bern’s ambition to enter the Amsterdam Academy of Arts after finishing his education as Game Artist at Mediacollege Amsterdam. Rens de Kooker always carries a sketchbook to be ready to make small drawings. She’s been a keen sketcher all her life, but finds it does not come easy to her. She’s determined to develop her skills and benefits from the sketch lessons at her education in Built Environment at the Amsterdam University of Applied Sciences. 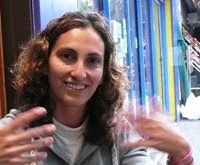 Francesca Mazza would like to explore and understand the urban changes better. She thinks looking at details of windows, doors, lamps, etc. will help in that process. Francesca studies architecture at the Amsterdam Academy of Arts and she wishes the Symposium will allow her to look at Amsterdam from a different perspective. Floor van Hoorn is studying Built Environment at the Amsterdam University of Applied Sciences. She greatly enjoys sketching and being outdoors, and the combination of both. 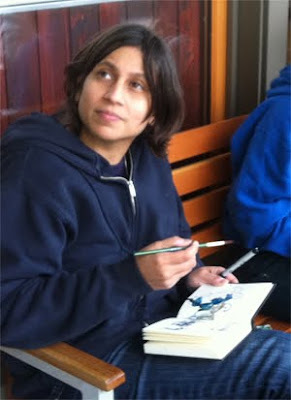 She is new to urban sketching but has some experience in plein air watercolour painting. In her education she has practiced perspective drawing and we all know this is of great benefit when starting out as an urban sketcher. Congratulations to all of you! Enjoy sketching, learning, and meeting sketchers from all over world at the Symposium in Amsterdam! Thanks to USk NL Symposium Team for compiling and preparing a write-up of each of the candidates so we can get to know them a better. Congratulations, Cara Christine Mitchel! 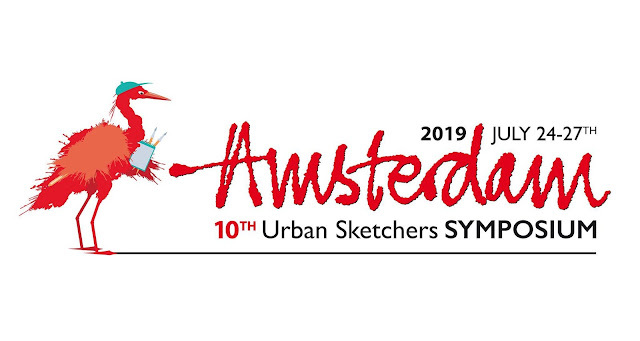 You won a Workshop Pass for the 10th International Urban Sketchers Symposium 2019 in Amsterdam, Netherlands! Registration instructions will be shared by December 2018. The prize/registration is non-transferrable. 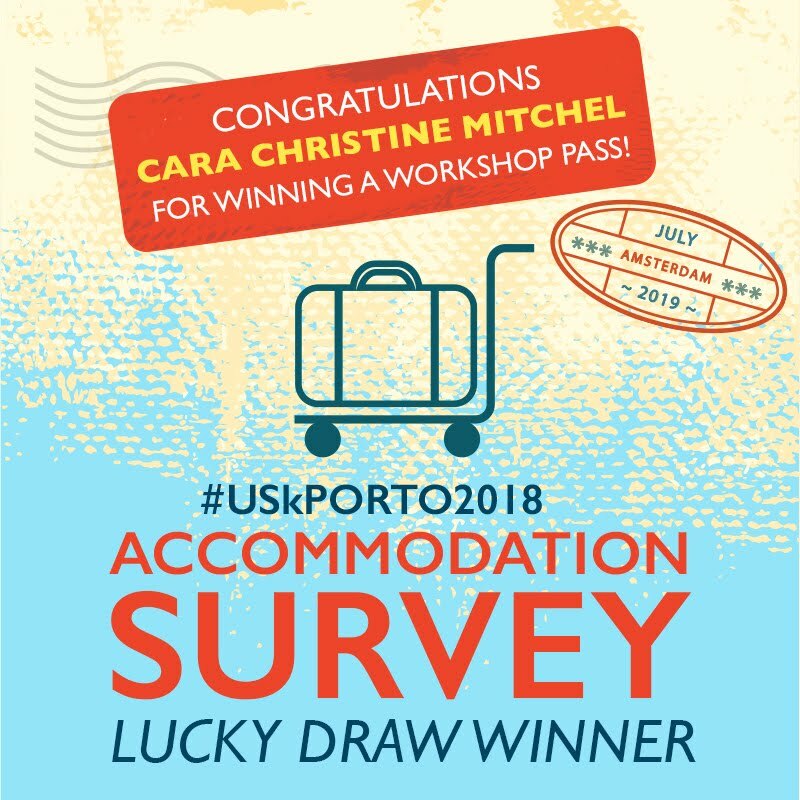 Thanks to you and everyone who participated in the Porto Accommodation Survey this year. 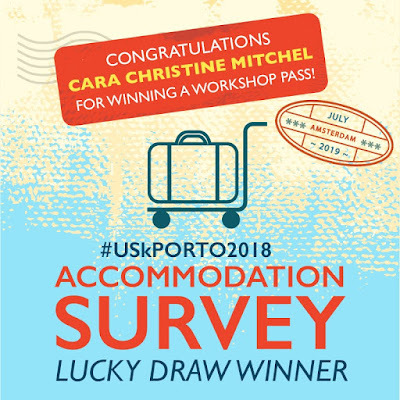 You helped Urban Sketchers and USk Portugal to get a grant from the Tourism Bureau, which contributed to funding the Symposium's operational and volunteers' expenses. Your cooperation is highly appreciated! We would like to thank everyone for their enthusiasm and submissions. The Urban Sketchers International Symposium 2019 in Amsterdam, Netherlands, will definitely be a great experience! The Education Committee will carefully go through the proposals and will announce the official programming lineup in January. The official hashtag for next year’s International Symposium is #uskamsterdam2019. Follow the hashtag to easily get updates and all the buzz for next year! If you have some inspiring information, sketches and related stuff about the Symposium, include the hashtag in your posts so others can easily find them and join the excitement! Click here for the announcement video! 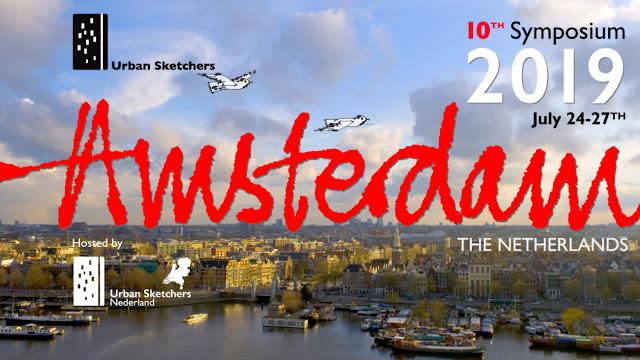 The 10th International Urban Sketchers Symposium will be hosted by Urban Sketchers Netherlands in Amsterdam. Amsterdam hosts 180 nationalities so everyone will feel right at home. It has everything you need for spending a perfect day in the city. Hosting world-class museums, it’s not just decked with old canals, charming gabled facades, drawbridges, and windmills but also with cutting-edge modern design like the EYE Filmmuseum. Truly an urban sketchers paradise! 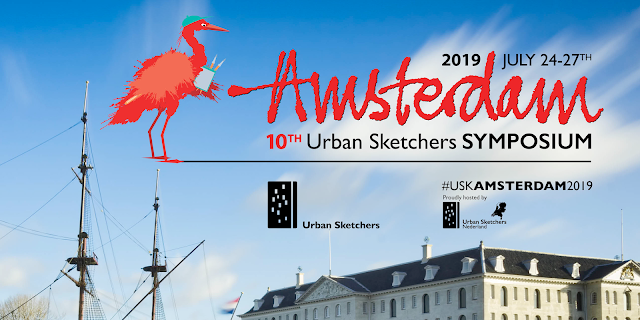 See you at the 10th International Urban Sketchers Symposium in Amsterdam, Netherlands! Stay tuned for more information to come. Subscribe to the Drawing Attention for USk news and Symposium updates.